One of the newer ears on the block is the beef ear. 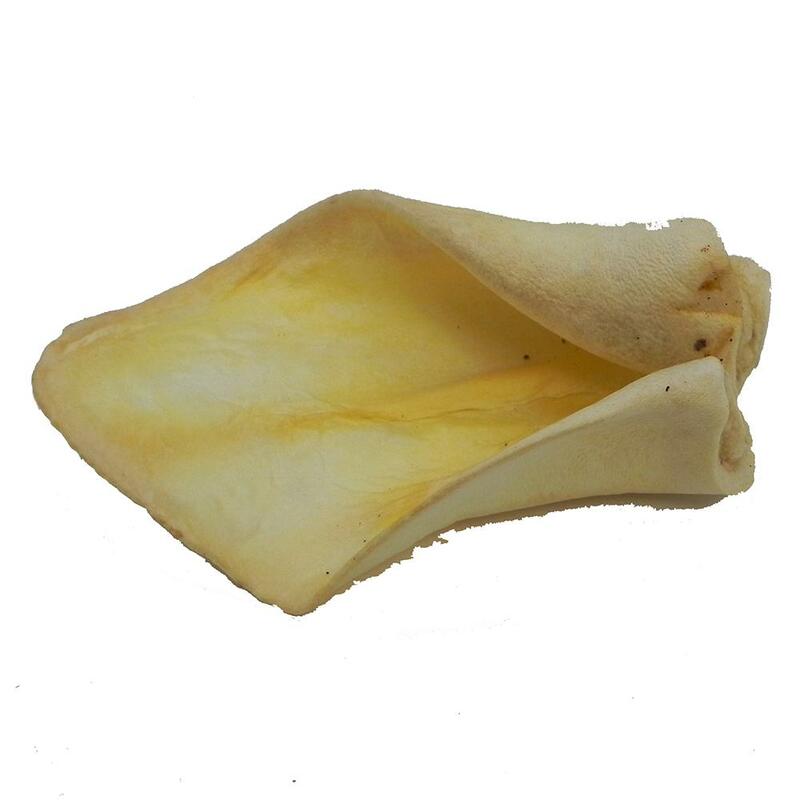 This ear is roughly the same size as a pig ear and is white in color which categorizes it as a natural beef ear. The texture of the beef ear is puffier in nature and provides a less greasy product than the pig ear. Brand may vary.